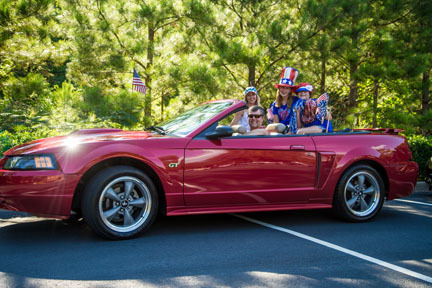 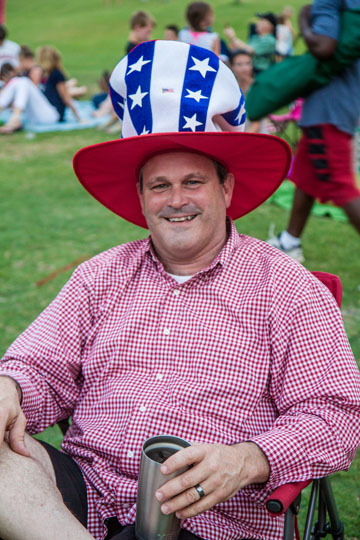 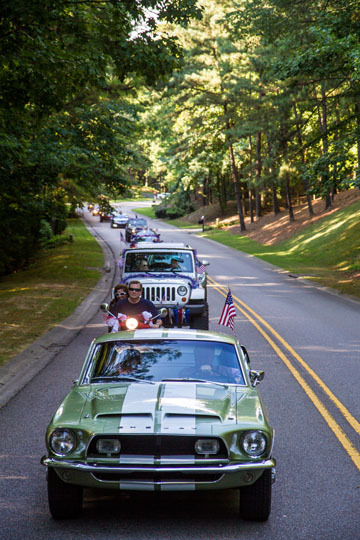 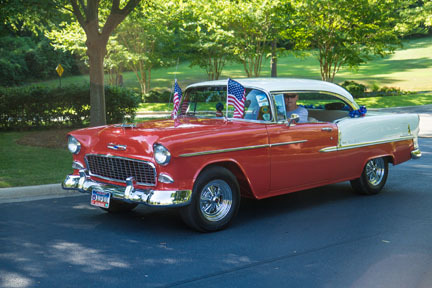 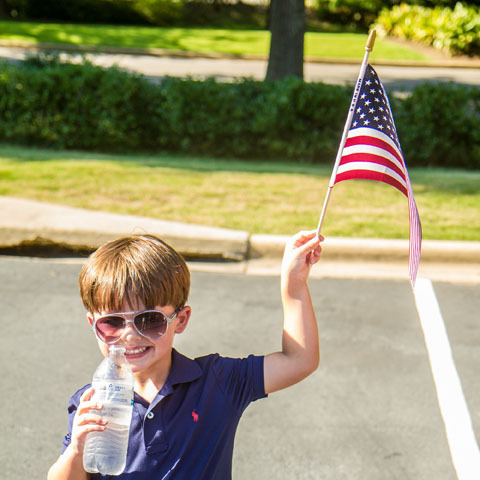 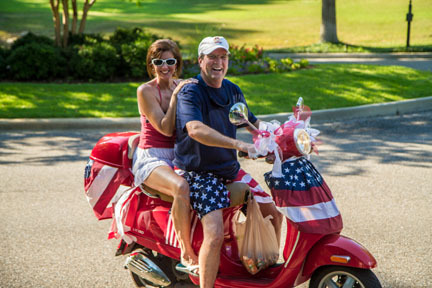 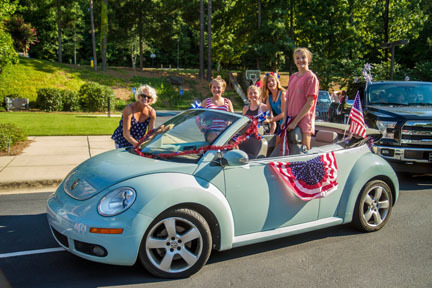 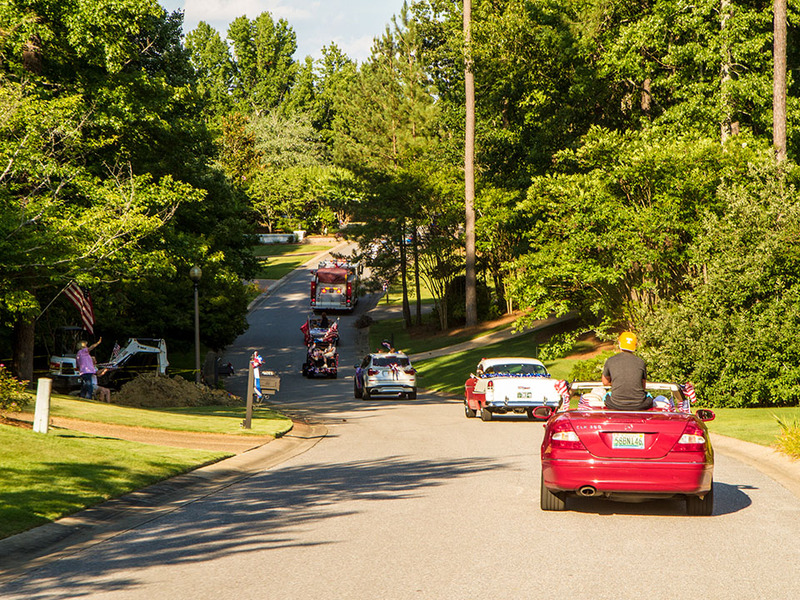 From this single cul de sac has grown a tradition in Riverchase like no other – the annual 4th of July Car Parade. 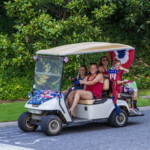 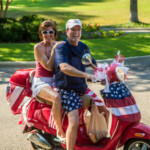 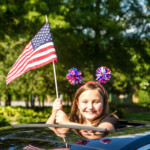 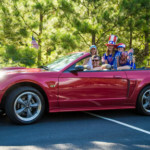 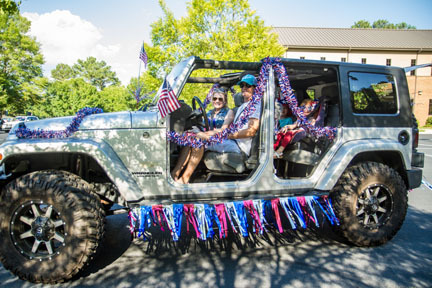 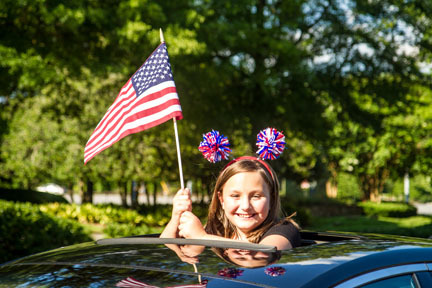 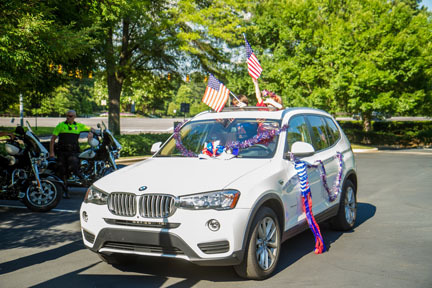 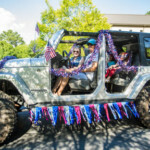 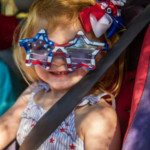 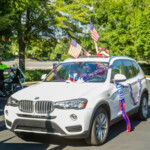 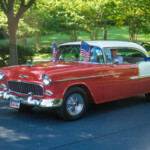 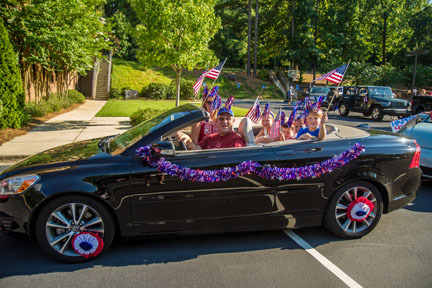 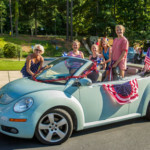 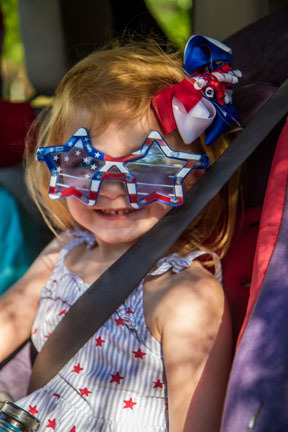 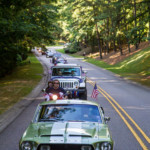 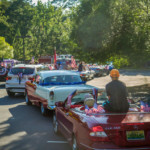 This year, festively attired residents of all ages piled into more than thirty cars – from convertibles and collectibles to motorcycles and minivans – to cruise the picturesque tree-lined parkways and side streets of the community. 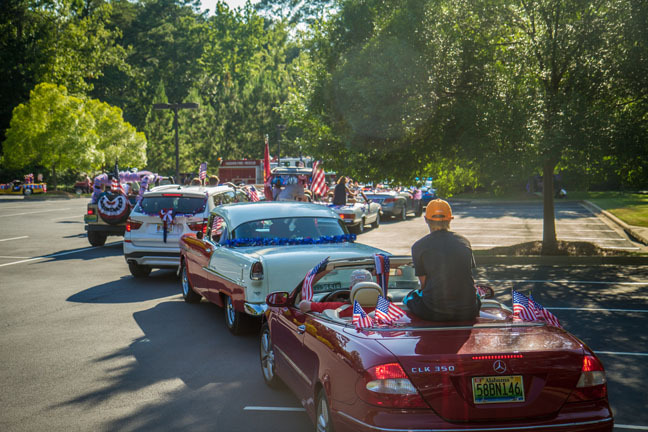 The parade begins with cars lining up behind the community fire truck in the Lutheran Church parking lot. 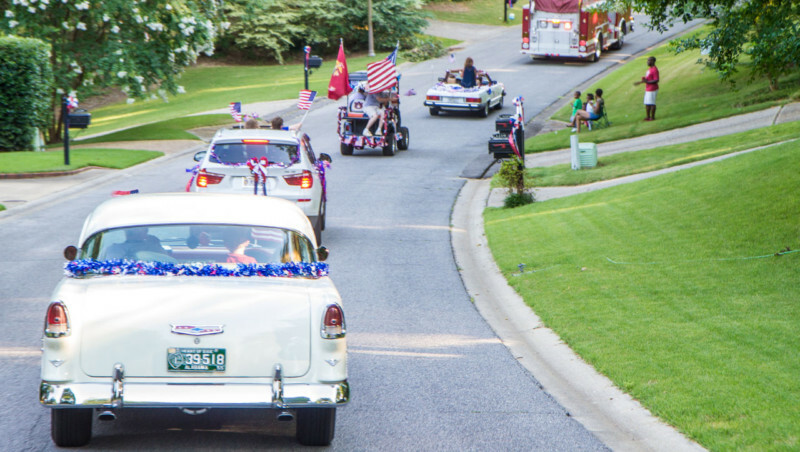 The line of cars slowly meanders through the neighborhood to the delight of residents lining both sides of the road seeking to grab a prize of candy thrown from the cars as they go by. 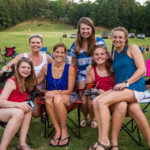 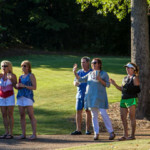 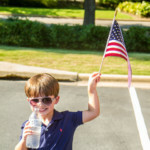 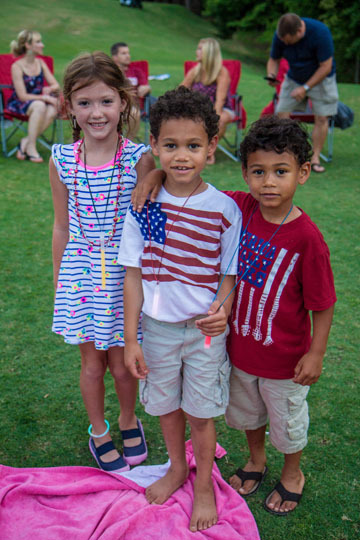 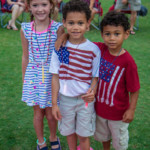 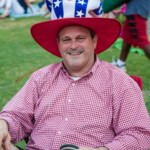 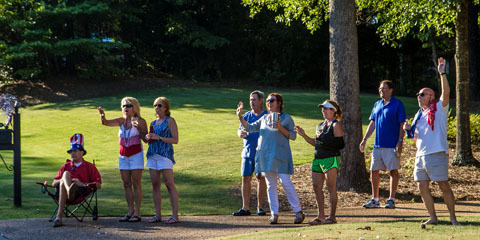 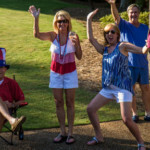 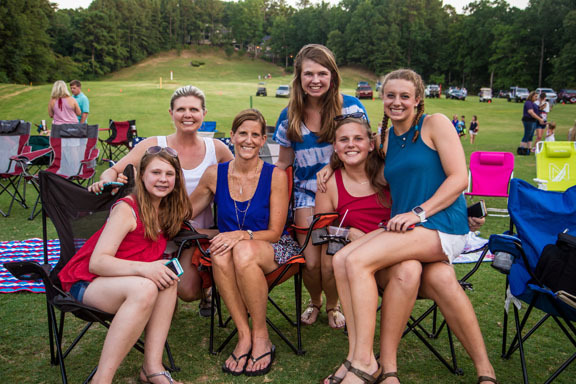 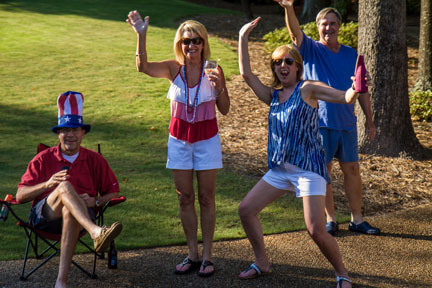 The entire procession ends up at the Riverchase Country Club for a cookout, fun games for the kids, and a fireworks display at dusk over the lake. 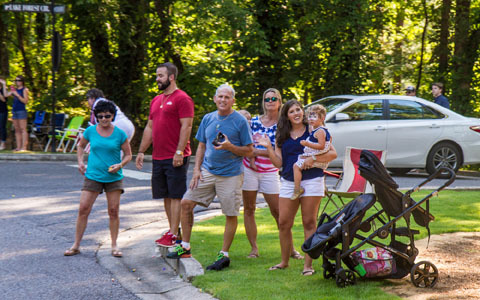 The best thing about the whole day – this event is truly for the entire community. 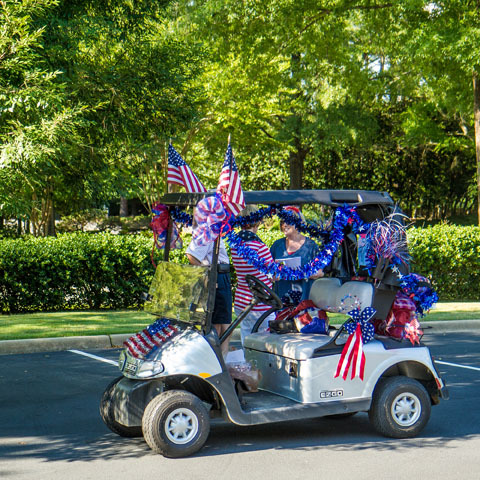 Today, Lynne and the original organization team has relinquished their parade duty to the capable hands of the Riverchase Beautification Committee that is also responsible for other community-wide engagement and recognition activities such as the RRA Yard Awards.